The second album by strangely southern sounding band from Germany offers both surprises and letdowns. 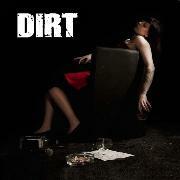 DIRT has been around since 2008, and says that they play sludge and doom with a strong addition of blues and southern rock. How´s that for a change? Can they marry the new religion with the old landed gentry of rock? Opener “Seven Days” can´t really do anything. The sheer boring factor of a very simple drum pattern over a stubborn but pointless refrain with only the slightest addition of…ZAKK WYLDE´S trademarks does nothing for me. “Dirty” is like another band taking over. It´s groovy and has the right refrain and formula. The same goes for the prowler of a title track that really has me wanting more. I think they were really aiming high here but the inclusion of the nineties in the shape of “Face Down” or the blatant theft of “Children of the Grave” in “Crush” are not the way to go. And the final nail in the coffin is “Breathe In”. More like a terminal breath they create yet one more enervating refrain combined with a dead-end voice experiment. Only to rise from the dead with the fabulous “One Step Away” that has a fine piano opening and a solo that echoes of Slash´s in “November Rain”. DIRT might one day break it big, but that means cleaning up their act.